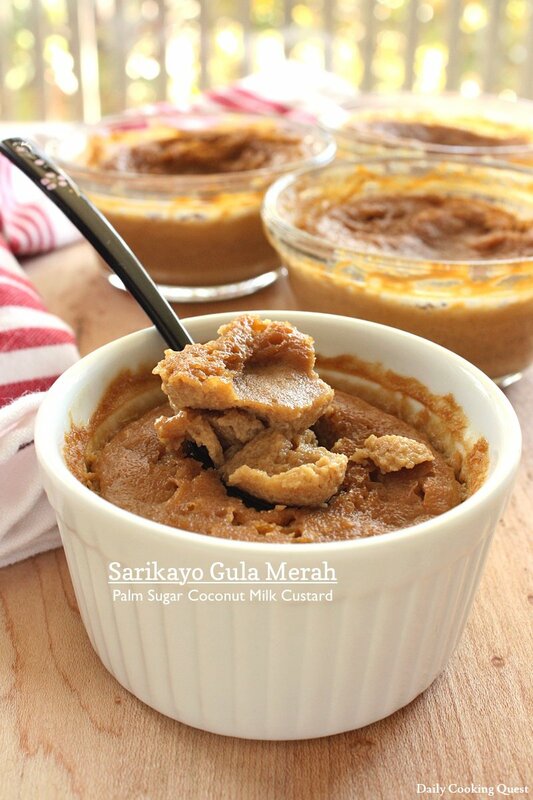 Sarikayo is a Minang (Padang) dessert made from steaming a mixture of primarily egg, coconut milk, and palm sugar. 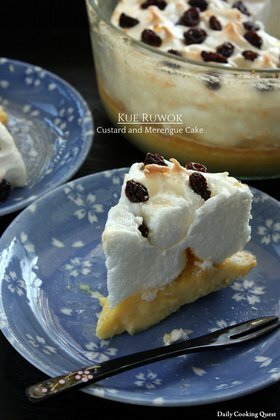 This custard can be served as is, though some also prefer to have this with a steamed sticky rice in which it will be call ketan sarikayo, a bit like Thai combination of mango with sticky rice. 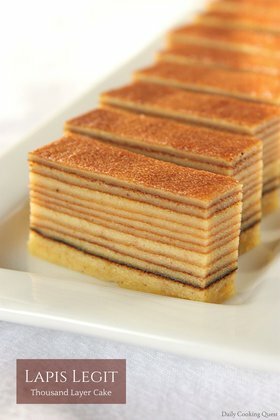 It would be best to use Indonesian palm sugar to make this, since I think it just won’t be the same otherwise. If you really must, you can try using Thai version of palm sugar, but the color will be much lighter, and to me personally, it just doesn’t smell as nice in the end. Mix together coconut milk and water. 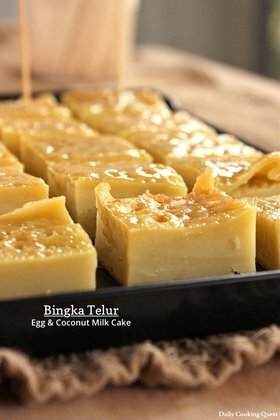 In a small sauce pan, boil together 100 ml of the coconut milk mixture and the palm sugar. Turn off heat once all the sugar has melted. 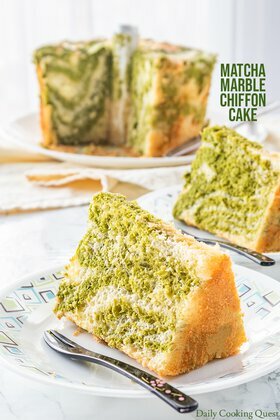 In a mixing bowl, whisk together all purpose flour, corn starch, the palm sugar solution, and the rest of the coconut milk mixture. Set aside. In another mixing bow, whisk together eggs and salt. Then pour the eggs into the coconut milk mixture. Whisk until well blended. Strain the mixture into ramekins (I managed to fill in 5), and cover with aluminum foil. Steam for 30-35 minutes, or until fully cooked, with a small-medium heat. Serve warm or room temperature.